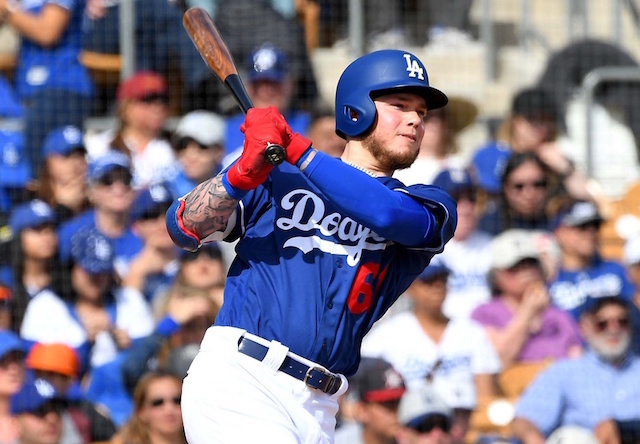 Kenta Maeda was knocked around early but Alex Verdugo and Austin Barnes each had a big day at the plate to help lead the Los Angeles Dodgers to a 6-3 comeback win against the Texas Rangers. 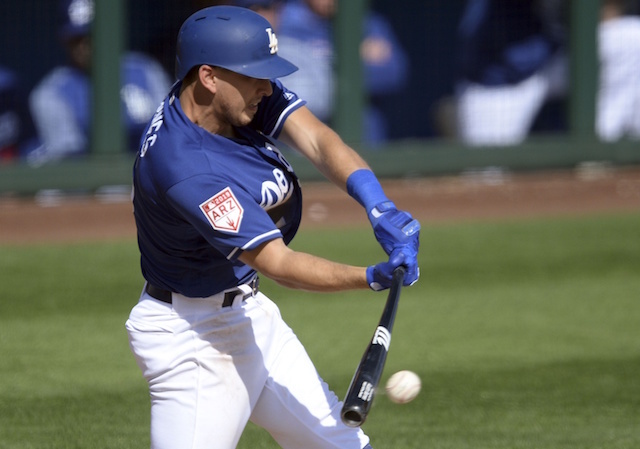 Verdugo’s soft double down the left-field line led to the Dodgers getting on the board in the second inning as he advanced on a wild pitch and scored on Austin Barnes’ RBI groundout. Verdugo then came up with the bases loaded in the third and tied the game with a two-run double. Barnes followed by driving in two more on a single that gave the Dodgers a decided lead. Omar Estevez added to it with a solo home run in the sixth inning. 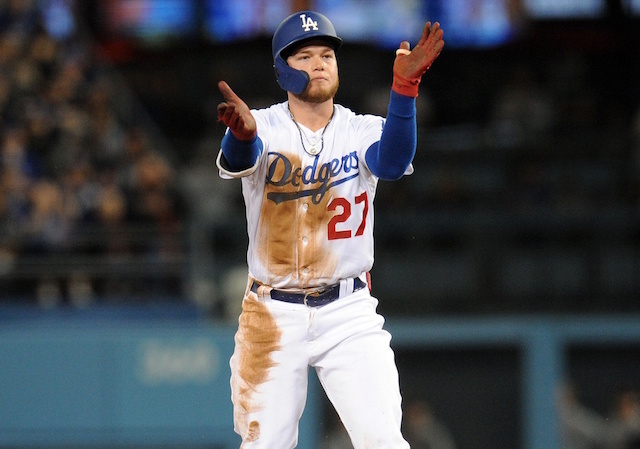 The Dodgers were in a deficit as Maeda issued a walk to start the game, then allowed a base hit to Willie Calhoun that put runners at the corners. Nomar Mazara’s RBI groundout gave the Rangers a 1-0 lead, and Matt Davidson added to it by slugging a two-run homer. 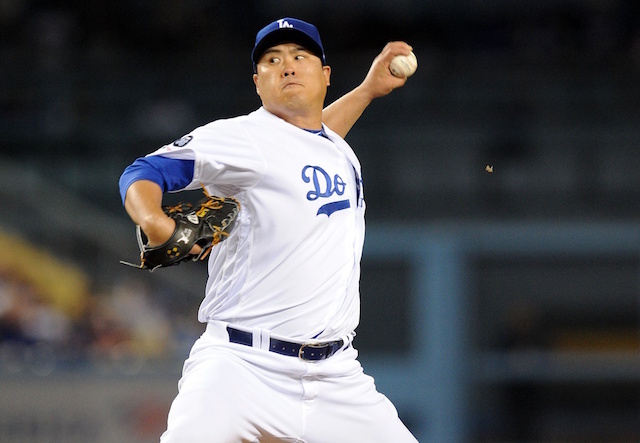 Maeda improved on the rocky inning by striking out a pair in a 1-2-3 second. 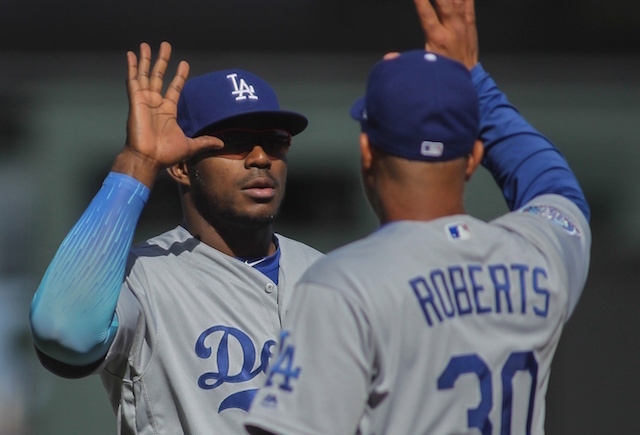 He was backed by Kenley Jansen, who worked around an error and picked up a strikeout in his 2019 Spring Training debut. More scoreless work followed out of the bullpen as Joe Kelly improved on a shaky first appearance by stranding a leadoff single in the fourth inning. More encouraging results followed, with Tony Cingrani, Josh Fields and J.T. Chargois each completing a scoreless inning out of the bullpen. From there, Adam McCreery and Minor League pitcher Luis Vasquez each threw one inning without allowing a run to finish out the Dodgers’ win.